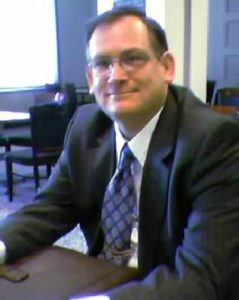 Dr. Davis has extensive experience with liquid crystal (LC) device physics, molecular and laser spectroscopy, precision metrology, and laser stabilization. While working at NIST in Gaithersburg and JILA in Colorado he acquired skills in lasers stabilization, optical frequency metrology, and molecular spectroscopy. At Vescent Dr. Davis is developing a range of LC-waveguide based devices. He has fourteen patents pending and/or issued. 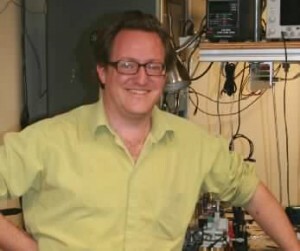 Prior to starting Vescent Photonics, Dr. Davis worked in industry as an optical engineer, served as an NRC postdoc, and obtained his Ph.D. from JILA. Dr. Davis joined ADI in 2016 to develop commercial applications for Liquid Crystal Waveguide technology. 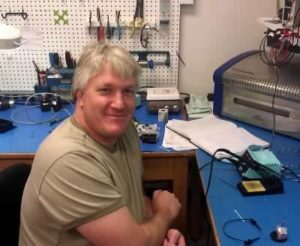 Mr. Rommel has over ten years of experience in LC-optic design and LC-device manufacturing, and over fifteen years of experience in general optical assembly. He has designed and built ellipsometers for wavelength metrology and quality control in the manufacture of precision polarization optics, and he was the project lead for a liquid-crystal polarimeter and microelectronic controller. As a co-founder of Vescent Mr. Rommel has developed micro-photonic and LC-waveguide test and assembly protocols. Mr. Rommel joined ADI in 2016 to develop commercial applications for Liquid Crystal Waveguide technology.